Remember clamshell phones that fold closed? They’re only ever seen in American movies now, right? Wrong. 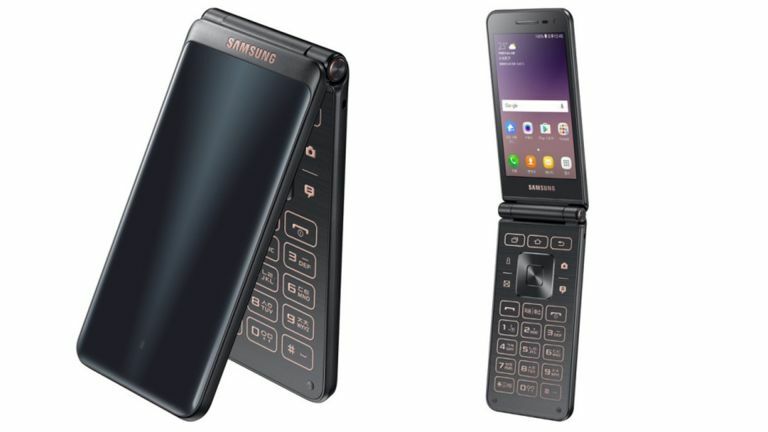 Samsung has just announced a new clamshell handset in its Folder 2. This isn’t just a folding phone though, this is a smartphone with the Android operating system and decent specs too. The Samsung Folder 2 comes with a 3.8-inch display but also packs power thanks to a 1.4GHz quad-core processor and 2GB of RAM. Yup, this is a fully functional handset and even has a 1,950mAh battery which should last ages on that screen and up to 256GB expandable storage. In the back there is expected to be an 8-megapixel camera plus there a 5-megapixel selfie snapper in the front - both enough to keep up your social media life. But Samsung has confirmed these just yet. The key here is the keys. Yup, those physical buttons are right there for those that need them - ideal for gloves or in cold situations plus they’re tough too. The Samsung Folder 2 also has 15 dedicated ringtones for those hard of hearing and you get dedicated app buttons for Kakao Talk or Band. So, yep, you guessed it, this is due for South Korea initially for the equivalent of about £200. Want your own? You’ll have to hunt it down or wait for a UK launch.